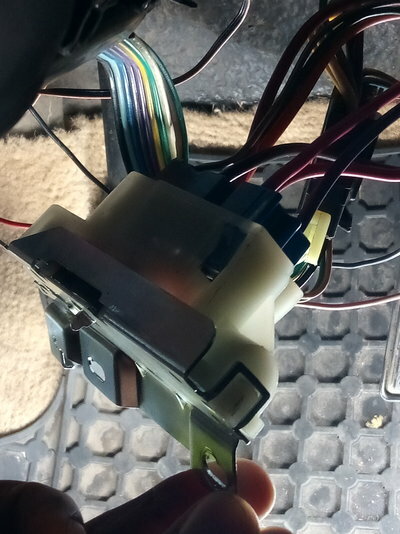 So my electrical ignition switch went failed on my 81 El Camino today. 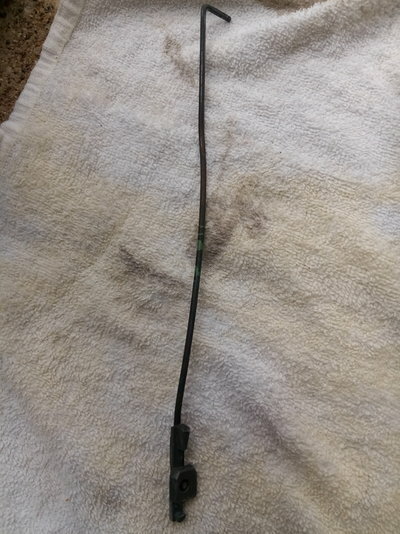 I removed the old one with no issue but when I went to reinstall the new ignition switch the rod that moves when I turn the key fell out of position. I eventually pulled the rod out thinking I could reposition it but I couldn't. 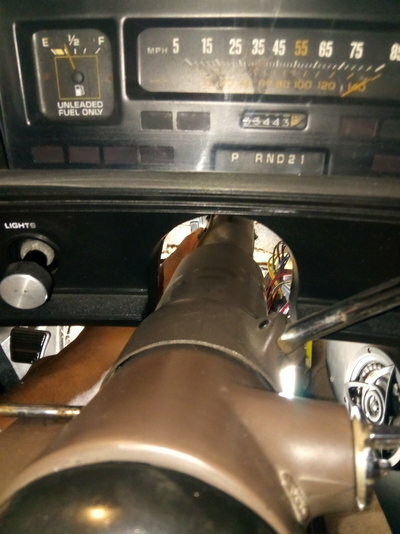 So my question is how the hell do I reinstall the rod without tearing the steering column apart? On the bottom picture I'm pointing to the rod that needs to be installed. Ease the rod up there as it usually goes into place pretty easily. Turn the key back and forth while doing so may help. Patience grasshopper. No luck after 2 days of trying. I'm tired and ready to sale the whole damn vehicle. So it that the only way to install the rod? Pretty much. I am telling you it is not that hard. You have the end where it goes into the switch up. 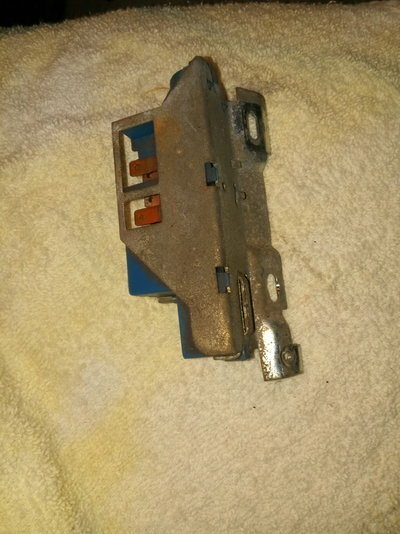 No electrical part to the switch installed. The column straight with no tilt. It's not too difficult to remove the whole column if you want to work on it on the bench. You may have an easier time to get the rod in. Ok airboatgreg after a drink or two I'll give it another try. Thanks for the info guys.